Bresha Meadows’ trial and crucial court hearings are in May. We call on supporters and all those who believe in social justice to help free Bresha Meadows! Below are dates and actions for people who are local to Warren, OH and for supporters everywhere. IMPORTANT DATES: (All events at Trumbull County Family Court unless otherwise … More #FreeBresha Court Actions – Local & Everywhere! 1 Comment #FreeBresha Court Actions – Local & Everywhere! 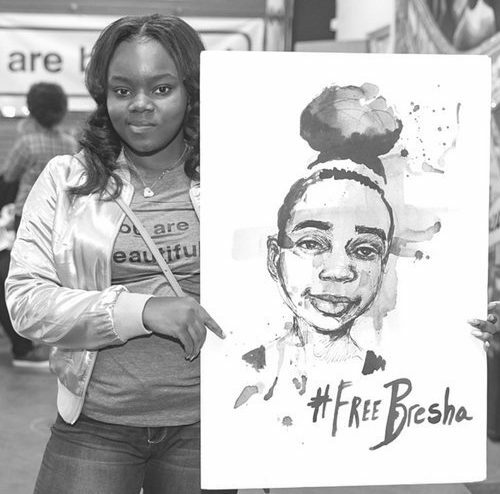 Poster Action: Raise Awareness with Free Bresha Posters! Join the campaign to poster the planet with #FreeBresha posters to raise awareness as we organize for Bresha Meadows’ trial in May! Hang the posters in public spaces to create high-level visibility about Bresha Meadows’ case in our communities. Posters in public spaces is also an organizing strategy to raise awareness about the connections between surviving domestic/sexual violence and … More Poster Action: Raise Awareness with Free Bresha Posters! 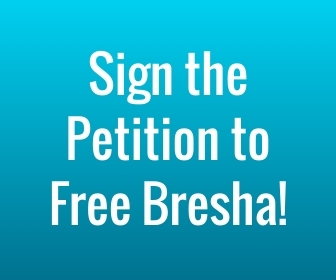 2 Comments Poster Action: Raise Awareness with Free Bresha Posters! Dear #FreeBresha supporters, Bresha Meadows’ next court hearing is scheduled for April 17, 2017 has been rescheduled to May 8th. Bresha is still incarcerated and facing serious charges for defending herself and her family against deadly abuse. Please continue to share the petition demanding her immediate release. We are asking supporters to organize teach-ins to #FreeBresha during … More Apr 10-17: #FreeBresha Week of Action! Leave a comment Apr 10-17: #FreeBresha Week of Action!